Science Application International Corp., Fairfield, New Jersey, has been awarded a maximum $315,000,000 firm-fixed-price, indefinite-delivery/indefinite-quantity contract for maintenance, repair and operations for the tailored logistics support prime vendor program for Zone 1 of the Northeast region. This was a competitive acquisition with 10 responses received. This is a five-year base contract with no option periods. Location of performance is New Jersey, with an Aug. 17, 2020, performance completion date. Using services are Army, Navy, Air Force, Marine Corps and federal civilian agencies. Type of appropriation is fiscal 2015 through fiscal 2020 defense working capital funds. The contracting activity is the Defense Logistics Agency Troop Support, Philadelphia, Pennsylvania (SPE8E3-15-D-0032). Noble Supply and Logistics,* Rockland, Massachusetts, has been awarded a maximum $262,500,000 firm-fixed-price, indefinite-delivery/indefinite-quantity contract for maintenance, repair and operations for the tailored logistics support prime vendor program for Zone 2 of the Northeast region. This was a competitive acquisition with 10 responses received. This is a five-year base contract with no option periods. Location of performance is Massachusetts, with an Aug. 17, 2020, performance completion date. 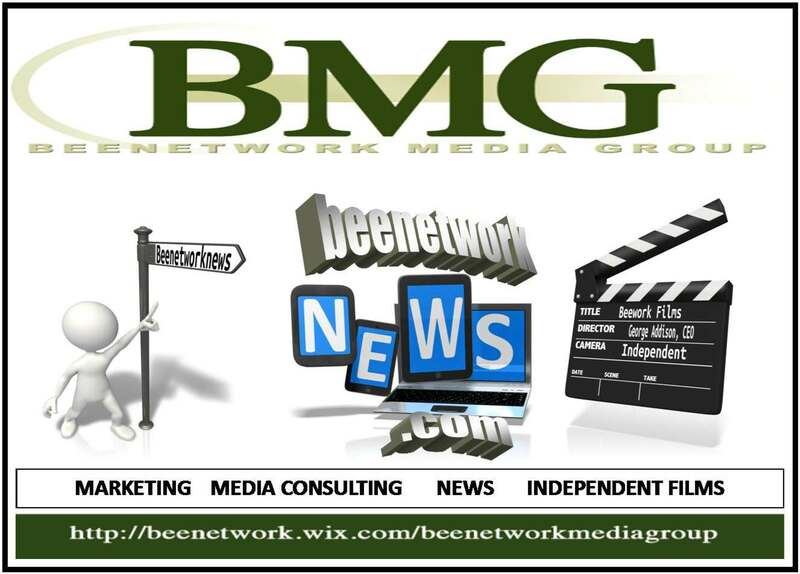 Using services are Army, Navy, Air Force, Marine Corps and federal civilian agencies. Type of appropriation is fiscal 2015 through fiscal 2020 defense working capital funds. 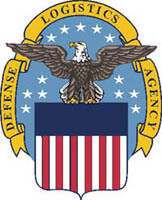 The contracting activity is the Defense Logistics Agency Troop Support, Philadelphia, Pennsylvania (SPE8E3-15-D-0033). Bell Helicopter Textron Inc., Fort Worth, Texas, is being awarded an $85,498,093 indefinite-delivery/indefinite-quantity contract to conduct research for, and develop updates to, weapons systems as part of a system configuration set (SCS) in support of the H-1 aircraft and the Navy and government of Pakistan. This effort is for SCS work to include creating prototypes of system capability improvements to the fleet in support of emerging needs. Work will be performed in Fort Worth, Texas, and is expected to be completed in August 2020. This contract combines purchases for the Navy ($80,498,093; 94.12 percent) and the government of Pakistan ($5,000,000; 5.88 percent) under the Foreign Military Sales program. Fiscal 2014 research and development (Navy) funds in the amount of $626,000 are being obligated at time of award, all of which will expire at the end of the current fiscal year. This contract was not competitively procured pursuant to FAR 6.302-1. The Naval Air Warfare Center Weapons Division, China Lake, California, is the contracting activity (N68936-15-D-0022). Methuen Construction Co., Inc., Salem, New Hampshire, is being awarded a $29,443,899 firm-fixed-price contract for structural shops consolidation at Portsmouth Naval Shipyard. The work to be performed provides for a new addition in the center of Building 76 and will include shop space, personnel support areas, and storage. Facility and infrastructure renovations for buildings 75 and 76 will meet industrial shop equipment requirements and bring facilities up to current building codes. Renovations will include upgrades to the following systems: electrical (e.g., power, grounding, etc. ); mechanical (e.g., ventilation, dust collection, etc. ); plumbing (e.g., compressed air, gases, water, etc. ); and fire protection and life safety (e.g., fire separation, sprinklers, and storage and venting of hazardous materials, etc.). Work will be performed in Kittery Maine, and is expected to be completed by January 2018. Fiscal 2011 and 2014 military construction (Navy), and fiscal 2015 direct site contract funds in the amount of $29,443,899 are being obligated on this award and will not expire at the end of the current fiscal year. This contract was competitively procured via the Navy Electronic Commerce Online website with four proposals received. The Naval Facilities Engineering Command, Mid-Atlantic, Norfolk, Virginia, is the contracting activity (N40085-15-C-8746). GE Aviation, Cincinnati, Ohio, is being awarded a $13,085,000 firm-fixed-price contract for three LM2500 engine overhauls. The engine overhaul services are for up to six LM2500 engines. Three engines will be included in the basic award, and the remaining three engines will be three options, one of which will be exercised concurrent with award. All overhaul work performed shall be in accordance with Navy LM2500 depot-level technical manuals. This contract includes options which, if exercised, would bring the cumulative value of this contract to $19,705,000. Work will be completed in Brindisi, Italy, and is expected to be completed by August 2016. Fiscal 2015 operations and maintenance (Navy) funding in the amount of $13,085,000 will be obligated at time of award. Contract funds will expire at the end of the current fiscal year. This contract was competitively procured amongst limited sources in accordance with Federal Acquisition Regulation 6.302-2 and 10 U.S. Code 2304 (C)(2); three proposals were solicited and three offers were received via U.S. mail. The Naval Surface Warfare Center, Carderock Division, Ship System Engineering Station, Philadelphia, Pennsylvania, is the contracting activity (N65540-15-C-5015). The Whiting-Turner Contracting Co., Baltimore, Maryland, is being awarded $9,128,684 for firm-fixed-price task order 0012 under a previously awarded multiple award construction contract (N40085-10-D-5330) for construction of an intelligence operations expansion complex at Marine Corps Base, Camp Lejeune. The work to be performed provides for the construction of an administration facility and miscellaneous supporting structures, utilities, and infrastructure. The facility will be divided into two connected areas: headquarters and intelligence/operations (Intel/Ops). The headquarters portion of the building consists of a single-story steel framed building with brick veneer over metal studs, and standing seam metal roof. The Intel/Ops portion will be a one-story pre-engineered metal building. Work will be performed in Jacksonville, North Carolina, and is expected to be completed by March 2017. Fiscal 2015 military construction (Defense) contract funds in the amount of $9,128,684 are being obligated on this award and will not expire at the end of the current fiscal year. This contract was competitively procured via the Navy Electronic Commerce Online website, with four proposals received. The Naval Facilities Engineering Command, Mid-Atlantic, Norfolk, Virginia, is the contracting activity. SRI International, Menlo Park, California, is being awarded an $8,520,257 cost-plus-fixed-fee contract to provide research and development services for the Defense Advanced Research Projects Agency. Support includes innovative research proposals in the areas of data privacy and privacy science to provide tools to capture, test and evaluate technologies. Work will be performed in Menlo Park, California, and is expected to be completed Feb. 16, 2020. Fiscal 2015 research, development, test and evaluation funds in the amount of $959,000 will be obligated at the time of award. Contract funds will not expire at the end of the current fiscal year. This contract was competitively procured via the Federal Business Opportunities website, with 89 proposals received. The Space and Naval Warfare Systems Center Pacific, San Diego, California, is the contracting activity (N66001-15-C-4071). Northrop Grumman Systems Corp., McLean, Virginia, was awarded a $13,586,965 modification (0002) to contract W91RUS-14-D-0002 for non-personal information technology for the Army Regional Cyber Center-Europe, 5th Signal Command (Theater), with an estimated completion date of July 18, 2016. Fiscal 2015 operations and maintenance (Army) funds in the amount of $6,508,863 were obligated at the time of the award. Army Contracting Command, Ft. Huachuca, Arizona, is the contracting activity. Thales-Raytheon Systems Co. LLC, Fullerton, California, has been awarded a $12,481,823 modification (P00031) to the previous award (FA8722-10-C-0001) for Battle Control System Sustainment. Contractor will provide for the replacement and integration of the Technical Data Link Interface Device within the Battle Control System. Work will be performed at Fullerton, California, and is expected to be complete by May 17, 2018. Fiscal 2013 and 2014 Air Force other procurement funds in the amount of $12,481,823 are being obligated at the time of award. Air Force Lifecycle Management Center, Hanscom Air Force Base, Massachusetts, is the contracting activity. Huntington Ingalls Industries, Newport News Shipbuilding, is being awarded a $57,889,458 cost-plus-fixed-fee, delivery-incentive-fee contract to perform planning efforts needed to conduct maintenance, upgrades and modernization efforts on USS Columbus (SSN 762) during the engineered overhaul period. This scope of work encompasses planning as well as maintenance and modernization necessary to maintain full unrestricted operations and ensure the submarine is operating at full technical capability. This contract includes options which, if exercised, would bring the cumulative value of this contract to $288,642,249. Work will be performed in Newport News, Virginia, and is expected to be completed in May 2019. Fiscal 2015 operations and maintenance (Navy) funding in the amount of $6,434,000 will be obligated at time of award and will expire at the end of the current fiscal year. This contract was competitively procured via the Federal Business Opportunities website with two offers received. The Naval Sea Systems Command, Washington, District of Columbia, is the contracting activity (N00024-15-C-4301). Northrop Grumman Systems Corp., Bethpage, New York, is being awarded a $38,541,198 cost-plus-fixed-fee, sole-source contract to provide integration services for mission packages that will deploy from and integrate with littoral combat ships. Mission package capabilities are currently focused on primary mission areas of mine warfare emphasizing mine countermeasures, littoral anti-submarine warfare, and littoral surface warfare operations, including prosecution of small boats. This contract includes options which, if exercised, would bring the cumulative value of this contract to $78,329,142. Work will be performed in Bethpage, New York (51 percent); Oxnard, California (16 percent); Washington, District of Columbia (10 percent); San Diego, California (10 percent); Panama City, Florida (7 percent); Dahlgren, Virginia (3 percent); Hollywood, Maryland (1 percent); Andover, Massachusetts (1 percent); and Middletown, Rhode Island (1 percent), and is expected to be completed by July 2016. Fiscal 2015 operations and maintenance (Navy); fiscal 2014 research, development, test and evaluation; fiscal 2013 other procurement (Navy); and fiscal 2013 shipbuilding and conversion (Navy) contract funds in the amount of $6,869,776 will be obligated at time of award. Funds in the amount of $6,757,576 will expire at the end of the current fiscal year. This contract was not competitively procured in accordance with Federal Acquisition Regulation 6.302-1(a)(2)(ii)(B) – supplies or services required are available from only one source, and no other types of supplies or services will satisfy agency requirements. The Naval Sea Systems Command, Washington, District of Columbia, is the contracting activity (N00024-15-C-6311). General Dynamics, Bath Iron Works, Bath, Maine, is being awarded a $13,061,015 cost-plus-award-fee modification to previously awarded contract (N00024-14-C-4313) to provide littoral combat ship (LCS) planning yard services. This option is for planning yard services for both LCS variants. Bath Iron Works will be the single planning yard providing engineering, planning, ship configuration, material and logistics support to maintain and modernize both variants of the LCS class. Work will be performed in Bath, Maine, and is expected to be completed by August 2016. Fiscal 2015 operations and maintenance (Navy) funding in the amount of $3,472,000 will be obligated at the time of award and will expire at the end of the current fiscal year. The Naval Sea Systems Command, Washington Navy Yard, District of Columbia, is the contracting activity. BAE Systems Norfolk Ship Repair, Norfolk, Virginia, is being awarded a $12,424,042 firm-fixed-price contract for USS Oscar Austin (DDG 79) fiscal 2016 selected restricted availability. This selected restricted availability will include hull, machinery, electrical, electronics, ship alterations, and piping alteration and repair work. The primary focus of this repair package is to accomplish structural repairs and habitability upgrades. Work will be performed in Norfolk, Virginia, and is expected to be completed by April 2016. Fiscal 2015 operations and maintenance (Navy) and fiscal 2015 other procurement (Navy) contract funds in the amount of $12,424,042 will be obligated at time of award. Funds in the amount of $9,069,550 will expire at the end of the current fiscal year. This contract was competitively procured via the Federal Business Opportunities website, with two offers received. The Mid-Atlantic Regional Maintenance Center, Norfolk, Virginia, is the contracting activity (N50054-15-C-0005). Wright State Applied Research Corp., Beavercreek, Ohio, has been awarded a $42,500,000 indefinite-delivery/indefinite-quantity contract for human-machine teaming for intelligence, surveillance and reconnaissance (ISR) analysis. Contractor will provide research in three areas: (1) ISR knowledge elicitation; (2) ISR concept design and development; and (3) ISR performance assessment. These advancements will further enable research encompassing the science and technology development, experimentation and demonstration in the area of improving intelligence operators’ perception, understanding and analysis through the application of a cognitive systems engineering design cycle that ensures technology solutions accommodate work. Work will be performed at Dayton, Ohio, and is expected to be complete by Feb. 7, 2022. This award is the result of a competitive acquisition with three offers received. Fiscal 2015 research, development, test and evaluation in the amount of $1,180,828 are being obligated at the time of award. 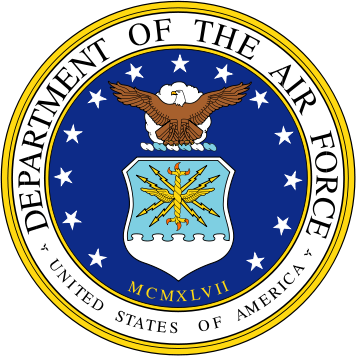 Air Force Research Laboratory, Wright-Patterson Air Force Base, Ohio, is the contracting activity (FA8650-15-D-6583). Oklahoma Gas and Electric Co., Oklahoma City, Oklahoma, has been awarded a $19,180,548 modification (01) to previously awarded contract F34650-74-D-0035-1402 for Phase III project implementation of the energy conservation measure and energy conservation program. Contractor will provide construction services to install chilled water, thermal energy storage, steam and heating hot water, heating, ventilating, and air conditioning, water treatment and lighting systems at the central utility plant at the Tinker Aerospace Complex. Work will be performed at Tinker Air Force Base, Oklahoma, and is expected to be complete by Dec. 31, 2016. Fiscal 2017 Depot Maintenance Activity Group working capital funds will be obligated by modification to the delivery order. Air Force Sustainment Center, Operational Contracting, Tinker Air Force Base, Oklahoma, is the contracting activity. Vectrus Systems Corp., Colorado Springs, Colorado, has been awarded a not-to-exceed $11,989,972 modification (P00017) to previously awarded contract FA5641-15-C-0001 for base maintenance and operations services in Turkey and Spain. Contractor will provide Turkey Spain Base Maintenance Contract contingency support of Operation Inherent Resolve contingency personnel surge in Turkey. Work will be performed at Incirlik Air Base, Turkey, and is expected to be complete by March 27, 2016. Fiscal 2015 Air Force operations and maintenance funds in the amount of $3,000,000 are being obligated at the time of award. Air Force Installation Contracting Agency, 764th Specialized Contracting Squadron, Kapaun Air Station, Germany, is the contracting activity. Computer Sciences Corp., Alexandria, Virginia, is being awarded an $10,258,894 cost-plus-fixed-fee contract to provide technical expertise, policy knowledge, operational proficiency, a collective training capability, deployed assistance teams, and advocacy for process creation or improvement for Countering WMD, addressing challenges from conventional proliferation threats, and enhancing national preparedness to manage the consequences of chemical, biological, radiological, nuclear, and high-yield explosives (CBRNE) events. Work will be performed in Virginia with an estimated completion date of August 2016. Fiscal 2015 operations and maintenance funds in the amount of $3,157,000 and fiscal 2015 cooperative threat reduction funds in the amount of $1,500,000 are being obligated at award. 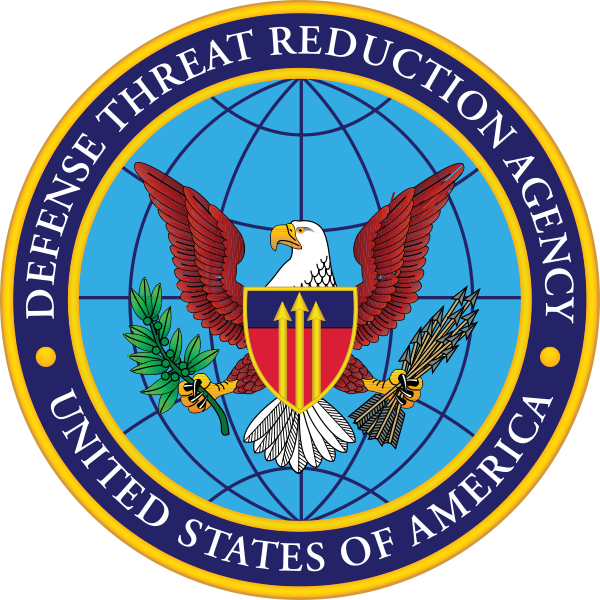 The contracting activity is Defense Threat Reduction Agency, Ft. Belvoir, Virginia (HDTRA1-15-C-0061). Honeywell Technology Solutions Inc., Columbia, Maryland, is being awarded an $805,170,296 costs-plus-incentive-fee, fixed-price-incentive (firm target), firm-fixed-price and cost-plus-fixed-fee multiple award contract (N00039-15-D-0034). Task orders under this multiple award contract will achieve the successful installation and operational certification of command, control, communications, computers, intelligence, surveillance and reconnaissance (C4ISR) systems for the program executive office for C4I, Space and Naval Warfare Systems Command and other prospective U.S. government and Foreign Military Sales customers. The C4ISR systems are produced under various production contracts (separate from this contract) and are delivered as government furnished equipment to this contract for installation onboard surface ships, submarines and shore stations located worldwide. Work will be performed aboard Navy platforms on East and West Coasts, as well as locations worldwide, and is expected to be completed by February 2019. 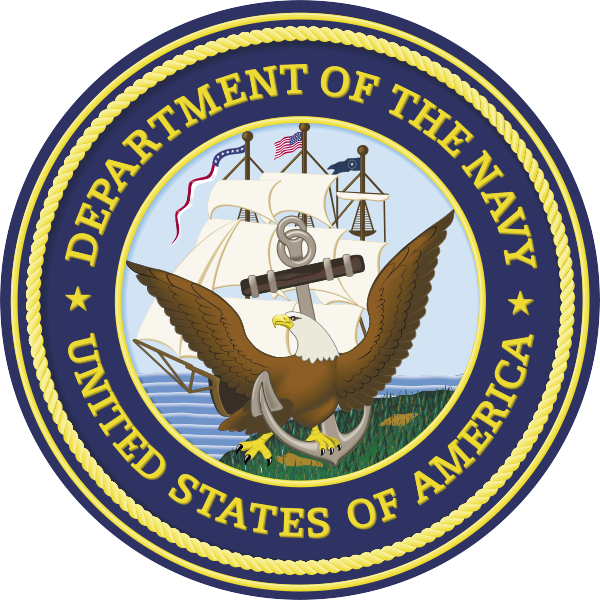 Fiscal 2015 operations and maintenance (Navy) funds in the amount of the minimum guarantee, which is $5,000, will be placed on contract and obligated at the time of award. The contract funds will expire at the end of the current fiscal year. This contract was competitively procured with full and open competition via the Commerce Business Daily’s Federal Business Opportunities website and the Space and Naval Warfare Systems Command e-Commerce Central website, with two offers received. The Space and Naval Warfare Systems Command, San Diego, California, is the contracting activity (N00039-15-D-0034). Electric Boat Corp., Groton, Connecticut, is being awarded a $22,257,347 not-to-exceed, undefinitized contract action against a previously awarded contract (N00024-09-C-2104) for the planning and execution of USS North Dakota (SSN 784) post-delivery work period. Electric Boat Corp. will perform planning and execution efforts, including long lead time material procurement, in preparation to accomplish the maintenance, repair, alterations, testing, and other work on USS North Dakota during its scheduled post-delivery work period. Work will be performed in Groton, Connecticut (99 percent); and Quonset Point, Rhode Island (1 percent), and is scheduled to be completed by April 2016. Fiscal 2014 and 2015 shipbuilding and conversion (Navy) contract funds in the amount of $22,257,347 will be obligated at time of award and will not expire at the end of the current fiscal year. The Supervisor of Shipbuilding Conversion and Repair, Groton, Connecticut, is the contracting activity. Rockwell Collins-ESA Vision Systems, Fort Worth, Texas, is being awarded a $20,864,770 firm-fixed-price, indefinite-delivery/indefinite-quantity contract for the Joint Helmet Mounted Curing system Night Vision Cueing and Display (NVCD) systems in support of the Aircrew Systems program. This contract provides procurement for non-recurring engineering, testing, technical data, support and production of 120 NVCD systems and modified support equipment, 30 helmet mounted display test sets, and 120 interim spares. Work will be performed in Merrimack, New Hampshire (79 percent); Wilsonville, Oregon (15 percent); Atlanta, Georgia (4 percent); and Fort Worth, Texas (2 percent), and is expected to be completed in August 2019. No funding will be obligated at time of award; funds will be obligated on individual delivery orders as they are issued. This contract was not competitively procured pursuant to Federal Acquisition Regulation 6.302-1. The Naval Air Systems Command, Patuxent River, Maryland, is the contracting activity (N00019-15-D-0024). AECOM Technical Services Inc., Los Angeles, California (W912DQ-15-D-3011); ARCADIS U.S. Inc. Highlands Ranch, Colorado (W912DQ-15-D-3012); CDM Federal Programs Corp., Kansas City, Missouri (W912DQ-15-D-3013); CH2M Hill Inc. Englewood, Colorado (W912DQ-15-D-3014); Ecology and Environment Inc., Lancaster, New York (W912DQ-15-D-3015); HDR O’Brien & Gere JV, Kansas City, Missouri (W912DQ-15-D-3016); and The Louis Berger Group Domestic Inc., Morristown, New Jersey (W912DQ-15-D-3017), were awarded a $90,000,000 cost-plus-fixed-fee contract with options for architect and engineering services in support of the Multiple Environmental Government Acquisition program for the Northwestern Division, Army Corps of Engineers, and the Environmental Protection Agency Region 2, with an estimated completion date of Aug. 12, 2020. Funding and work location will be determined with each order. Bids were solicited via the Internet with nine received. Army Corps of Engineers, Kansas City, Missouri, is the contracting activity. Laboratory Corp. of America, Burlington, North Carolina, was awarded a $57,595,500 modification (P00016) to contract W81K04-12-0017 for laboratory testing services. Funding and work location will be determined with each order, with an estimated completion date of Sept. 30, 2016. Army Medical Command, Ft. Sam Houston, Texas, is the contracting activity. Advanced IT Concepts Inc.,* Winter Springs, Florida, was awarded a $45,000,000 firm-fixed-price contract for procurement, delivery, installation, and testing of hardware to promote total life cycle support at the combat training centers and Joint Pacific Multinational Readiness Capability. Funding and work location will be determined with each order, with an estimated completion date of Aug. 13, 2021. Bids were solicited via the Internet with eight received. Army Program Executive Office, Simulation, Training and Instrumentation, Orlando, Florida, is the contracting activity (W900KK-15-D-0006). Kiewitt Infrastructure Co., Omaha, Nebraska, was awarded a $36,175,000 firm-fixed-price contract with options for tunnel construction and affiliated projects in Willow Springs, Illinois, with an estimated completion date of Sept. 10, 2017. Bids were solicited via the Internet with two received. Fiscal 2015 other procurement funds in the amount of $43,100,000 were obligated at the time of the award. Army Corps of Engineers, Chicago, Illinois, is the contracting activity (W912P6-15-C-0013). BAE Systems Land & Armaments LP, York, Pennsylvania, was awarded an $8,666,962 firm-fixed-price contract with options for 49 Fire Support Sensor System (FS3) mod kits and five authorized stockage list spares. Work will be performed in York, Pennsylvania, with an estimated completion date of Aug. 14, 2016. Bids were solicited via the Internet with one received. Fiscal 2013 other procurement funds in the amount of $8,666,962 were obligated at the time of the award. Army Contracting Command, Warren, Michigan, is the contracting activity (W56HZV-15-C-0117). Intuitive Research and Technology Corp.,* Huntsville, Alabama, was awarded a $7,619,996 modification (000763) to contract W31P4Q-09-A-0016 for technical and engineering services for the M1A2SEPV2 Abrams tank modernization. Work will be performed in Huntsville, Alabama, with an estimated completion date of July 31, 2016. Fiscal 2015 other and research, development, testing, and evaluation funds in the amount of $7,619,996 were obligated at the time of the award. Army Contracting Command, Redstone Arsenal, Alabama, is the contracting activity. MCT Industries Inc., Bernalillo, New Mexico, has been awarded a $13,739,050 modification (P00005) to exercise the option to previously awarded contract FA8533-13-D-0002 for articulating staircase maintenance stands and hydraulic scissor lift maintenance stands. Work will be performed at Bernalillo, New Mexico, and is expected to be complete by Nov. 16, 2019. No funds were obligated with issuance of the modification. Air Force Lifecycle Management Center, Robins Air Force Base, Georgia, is the contracting activity. The Boeing Co., Huntsville, Alabama, is being awarded a $9,800,000, competitive cost-plus-fixed-fee contract for the Multi-Object Kill Vehicle. Under this new contract, the contractor will define a concept that can destroy several objects within a threat complex by considering advanced sensor, divert and attitude control and communication concepts. The contractor will define a proof-of-concept prototype plan and demonstrate risk mitigation steps and critical functional aspects of the concept (Concept Definition, CLIN 0001). The contractor will assess the technical maturity of their concept, prioritize and nominate risk reduction tasks for all critical components and describe how the tasks will reduce risk (Risk Reduction, CLIN 0003). The work will be performed in Huntsville, Alabama; Huntington Beach, California; and Albuquerque, New Mexico, with an estimated completion date of May 2016. This contract was competitively procured via publication on the Federal Business Opportunities website through an Advanced Technology Innovation broad agency announcement with three proposals received. Fiscal 2015 research, development, test and evaluation funds in the amount of $4,076,521 are being obligated on this award. 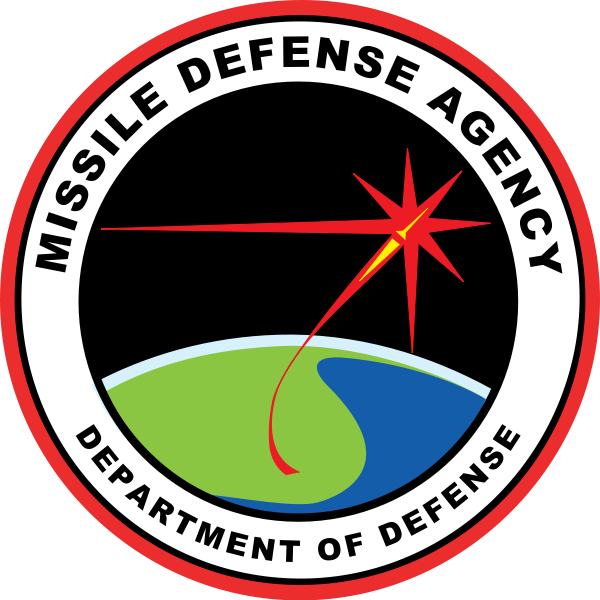 The Missile Defense Agency, Huntsville, Alabama, is the contracting activity (HQ0147-15-C-0014). Maytag Aircraft/TK&K, Colorado Springs, Colorado, has been awarded a maximum $8,018,112 firm-fixed-price contract for receipt, storage and issue services for bulk and retail aviation and ground fuel. This was a competitive acquisition with four responses received. This is a four-year base contract with one five-year option period and six one-month extensions. Locations of performance are Colorado and various locations in Germany, with a Dec. 31, 2019, performance completion date. Using service is Army. Type of appropriation is fiscal 2016 through fiscal 2020 defense working capital funds. The contracting activity is the Defense Logistics Agency Energy, Fort Belvoir, Virginia (SPE600-15-C-5019).